In 1854, London faced an outbreak of cholera. Dr. John Snow, believing the disease was transmitted through the mouth began investigating the cause of the outbreak, which included plotting the infected area on a map. The results led him to a water pump he suspected was the source of the outbreak. Dr. Snow had the handle removed, and the cases of cholera began to diminish. This discovery led to the notion of “working upstream.” Meaning, public health workers look to find the source of the problem, versus simply treating the problem after the fact. These stories illustrate how public health departments can dig deeper into the factors that are contributing to and affecting health. There are many ways to get to the heart of a problem, one is through a Health Impact Assessment (HIA); a tool that local agencies and communities can use to ensure that health remains a critical consideration when making decisions involving, but not limited to, land use planning, transportation and housing. Involves a range of impacted people and partners such as housing authorities, Parks and Recreation, etc. The Human Resource Development Council (HRDC) proposed to purchase Big Sky Villas (BSV) in Belgrade, MT, to help maintain affordable housing and to rehabilitate the units and property. The complex has not been updated since it was built in 1984. The Gallatin City-County Health Department (GCCHD), HRDC, the City of Belgrade and Montana State University partnered to conduct a Health Impact Assessment to help in project planning for rehabilitation of the complex. The goal was to look at the relationship between housing and health and to form recommendations that will better the lives of the residents and community. Timing of the assessment aligned with planned revisions and review of the City of Belgrade Transportation Plan and updates to the Belgrade Area Growth Policy. 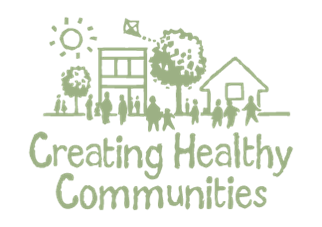 The scope of the HIA included a look at the potential health impacts such as safety, indoor air quality, mental health, access to healthy foods and services, social cohesion and access to green space and physical activity. How will the rehabilitation impact the social, emotional and physical health of BSV residents? How will rehabilitation impact the physical housing conditions of BSV? How will rehabilitation impact the neighborhood conditions and future policies of HRDC and the City of Belgrade? 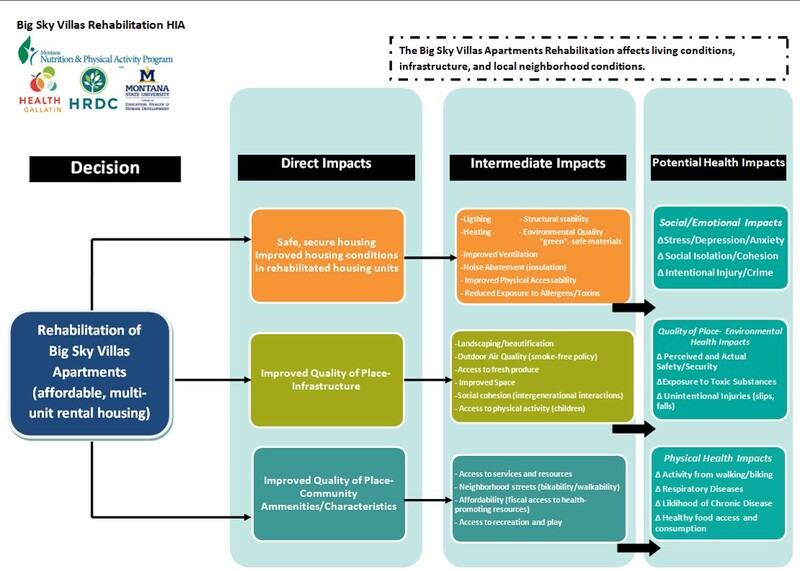 The HIA process values input from the community, in this case the residents of Big Sky Villas. As part of the assessment, residents participated in a workshop where they looked at the current state of the building, streets and outdoor spaces then mapped dangerous intersections around the housing complex. Residents also offered suggestions for planning improvements including safe, usable, active transportation accessible to all abilities. Safe, secure housing with improved housing conditions. 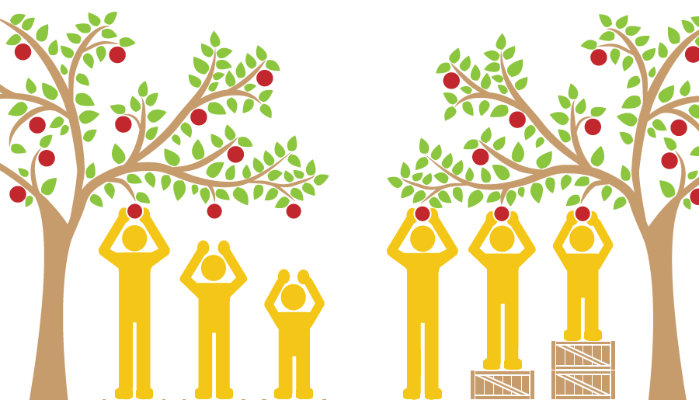 Click here for information about the links between health determinants and potential outcomes. Design features that make units safer and more accessible for older adults and residents. Regularly inform residents of updates to plan as well as timelines. 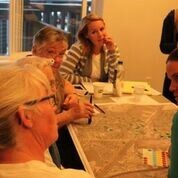 Develop a community garden plan. Adopt, communicate and enforce smoke-free policies and designate smoke-free zones. Get input from residents to design a park with access for all ages and abilities. City of Belgrade should involve residents and pilot a multi-faceted approach that encourages walking and biking. City of Belgrade should only consider project consultants for upcoming transportation plan with a demonstrated record of outreach and engagement, and preferably experience with “Safe Routes to School” programs. Transportation plan update should include all ages and abilities. The result of the HIA included new and deeper partnerships between the health department, public agencies and the residents of the building. It directly addressed the concerns of the residents which influenced the planning decisions. Through this, the Gallatin City-County Health Department hopes to demonstrate the effectiveness of a health impact assessment so that other disciplines and organizations naturally begin to think about health, leading to more health-informed decisions.